Firstly, thanks to everyone on DenariusTalk and the Discord (especially Carsen) who has put up with my persistent questions and helped out with this project over the past few weeks. Hopefully this article will make it all worth it. Over the last month I have learned how to build my own stake box using a Raspberry Pi. Prior to doing this I had no practical knowledge of Raspberry Pi's or Linux whatsoever. It has been a steep learning curve! 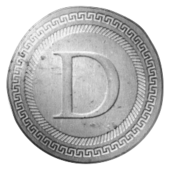 I looked at lots of different PoS cryptocurrencies and for a number of reasons decided to use Denarius to illustrate the example. While the primary goal is to help an absolute newbie build their own stake box, the guide may also encourage more people to get involved with Denarius, so feel free to share it around. @Carsen thanks again for all of your help!